Coming from the North Shore, Joe's Fresh Fish Prints creates custom one of a kind piece that any angler could love. 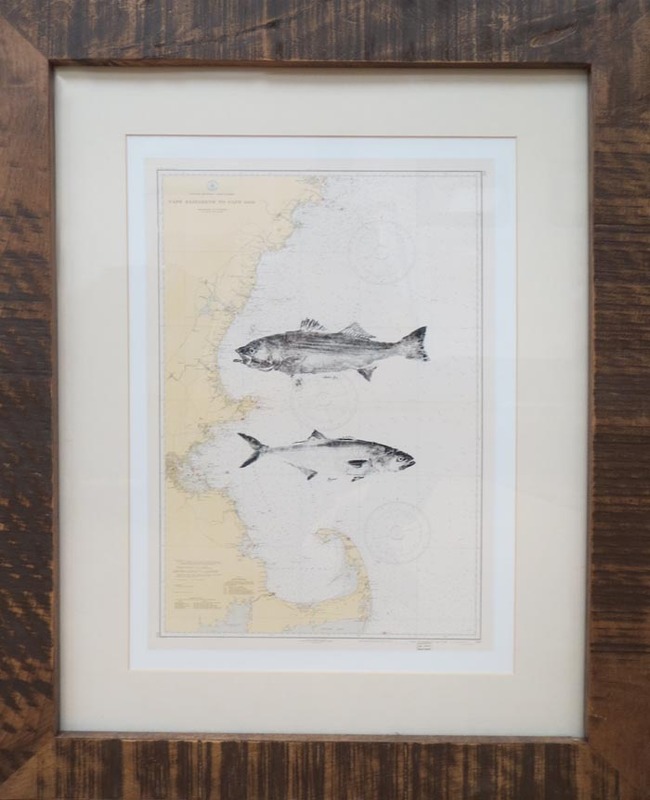 This piece is shown with Joe's popular striper and bluefish pattern shown on the Cape Elizabeth/Cape Cod nautical map.This piece measures 21 1/2" x 27 1/2" and is framed and matted. This one of a kind piece won't be around for long!